An impressive book not only for shoe lovers and folk costume fans! The Haferl shoe is much more than a folkloric Bavarian shoe. 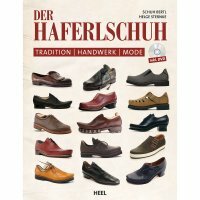 In this book, Munich-based Haferl shoe experts Schuh Bertl and Helge Sternke describe the distinctive characteristics of the Haferl shoe - from its origins to the present day - as well as its production process from the design of the last to the preparation of the leather, as well as the special features of the upper in one single piece. Highlights of this richly illustrated volume are the presentation of the construction of a double stitched Haferl shoe in over 100 single steps and the demonstration of sewing and manufacturing techniques that are no longer used. 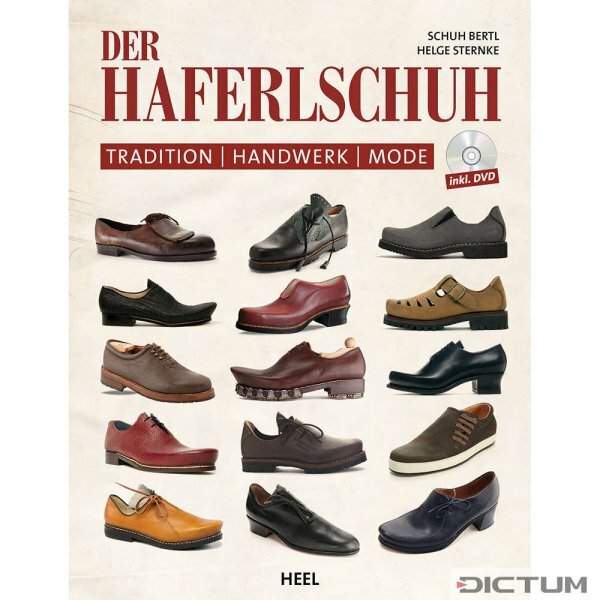 The enclosed DVD feautures Schuster Bertl making shoes.